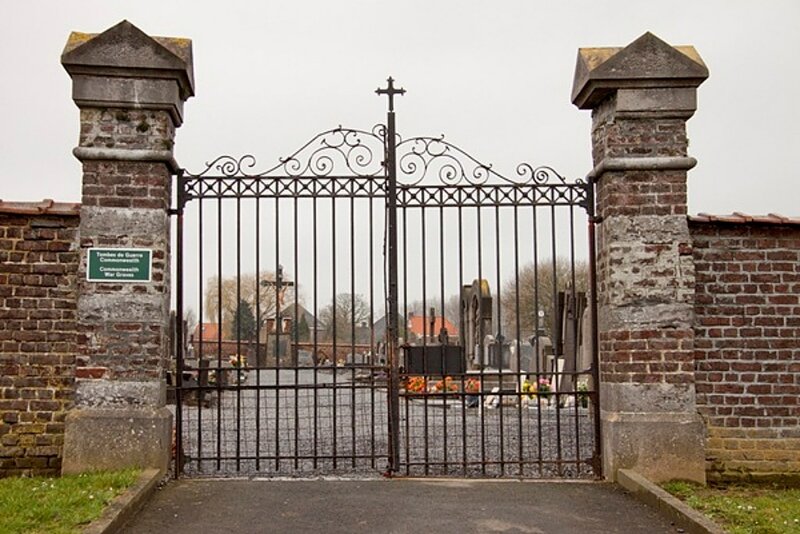 The village of Escanaffles is located east of Ronse (Renaix) on the N391. From the E17 motorway turn off at junction 3, Kortrijk-Oost, and onto the N8 direction Zwevegem. Follow the N8 through Heestert and into the village of Avelgem. In the village turn right by the square into Kerkstraat and then right again onto the N353 direction Bossuit. At the junction with the N391 turn onto the N391 direction Escanaffles. In the village turn left at the crossroads into Place and at the T junction turn right, the cemetery is along on the right. 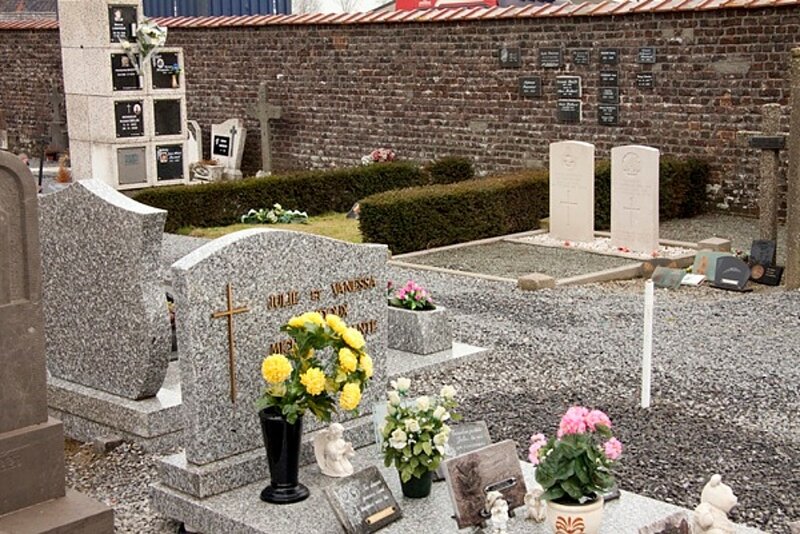 The graves are located through the main entrance and to the right. 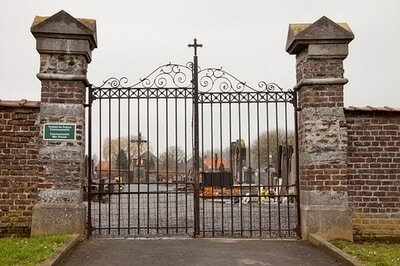 Escanaffles Communal Cemetery contains two Commonwealth burials of the 1914-1918 War. ​Near the east boundary, north of the entrance. 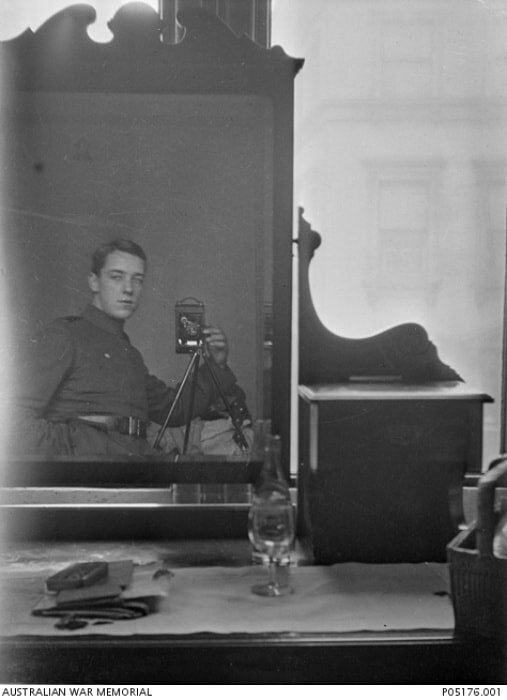 Son of Annie Martha Baker, of 55, Park Terrace, North Unley, South Australia, and the late Richmond Baker. 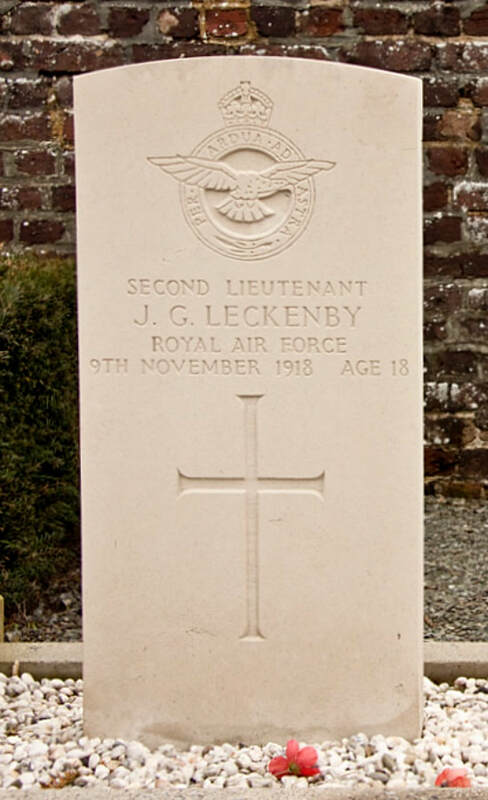 Lieutenant J. G. Leckenby, 4th Sqdn. 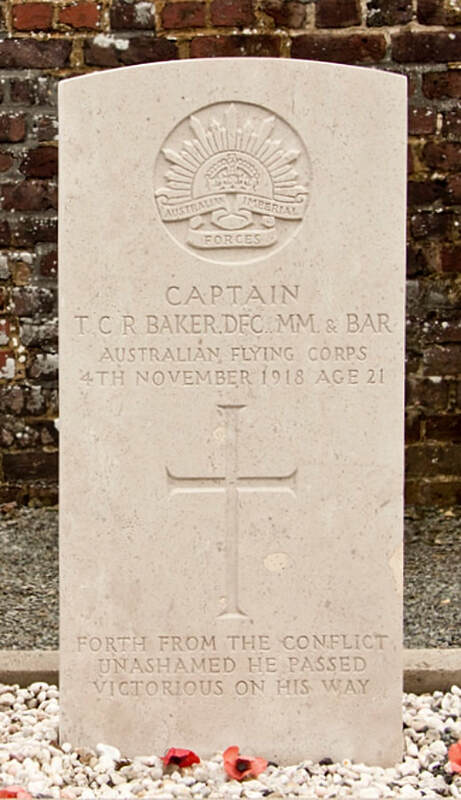 Royal Air Force died 9th November 1918, aged 18. Near the east boundary, north of the entrance. 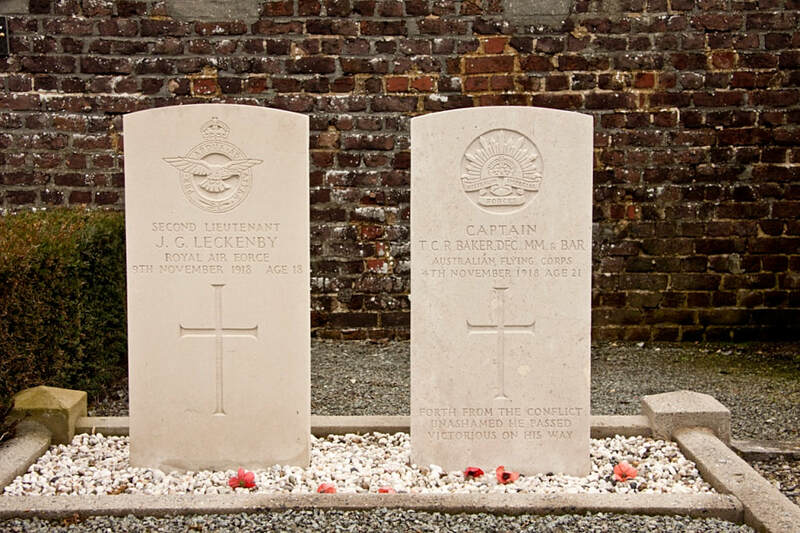 Son of George and Annie Elisabeth Leckenby, of 220, College Rd., Norwich, Norfolk.